Subscription is a new trend that is becoming more popular each day. 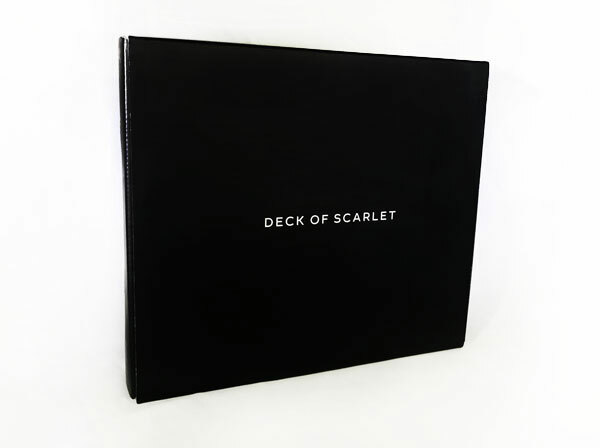 We’ve all seen, if not already using, shaving subscriptions, soap, food, etc, so today we are going to talk about Deck of Scarlet, a brand that produces makeup products on subscription as well as one-time purchase. Sounds like a great idea – you subscribe and get new makeup products each month, right? For some, it can save days spent at favorite beauty shops! 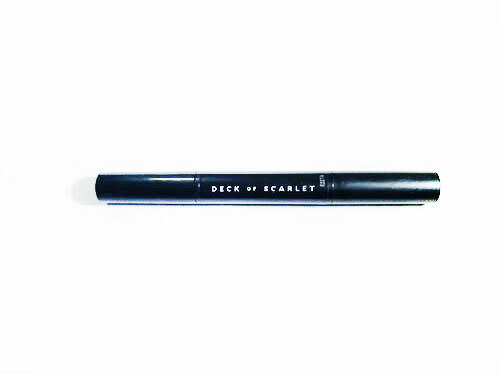 The Deck of Scarlet specializes in makeup palettes, eyeshadows, eyeliners, and lip liners. Every month DOS collaborates with a different beauty influencer and creates a new palette which is a unique and limited edition. We thought that this is a great idea and we should definitely test and review this product. Going through the list of available palettes MyTopFace expert chose Palette Edition #4 by Melly Sanchez. 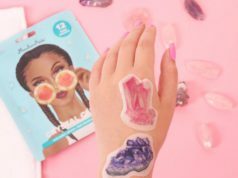 Melly is a popular YouTube and Instagram makeup artist who is famous for her short-form makeup-tutorials. 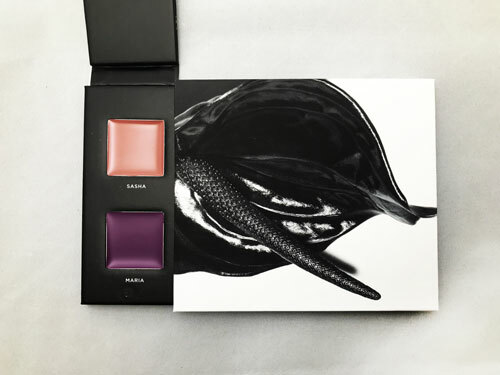 The palette has a cool glossy package, the top cover has two sections, the smaller part has Sasha – a coral and Maria – a purple lip colors, the larger has a mirror and covers eyeshadows, cheek color, and a highlighter. This edition has just right colors to create amazing looks that you can wear for different occasions – work, dinner, night out or anything else. 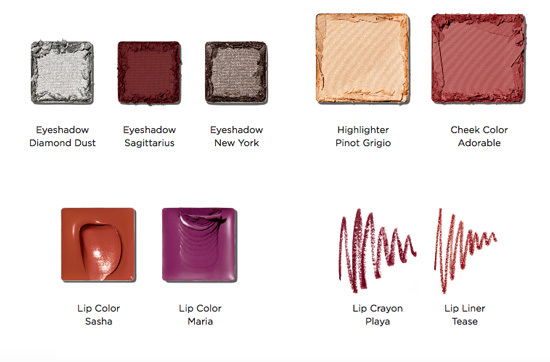 The New York dark eyeshadow and Saggitarius burgundy eyeshadow are great for creating smokey eye makeup. Depending on the look you want to create or dress you are going to wear you can choose either one as it fits most. Diamond Dust – the silver sparkling eyeshadow is great to use in the corner of the eye and can compliment smokey eye look. The Pinot Grigio highlight adds a nice natural glow or can be used for dramatic makeup. ‘Adorable’ – is the perfect name for the blush that presented on the palette – you can use just a little product to add color to the cheeks and the color is just amazing! The Pen has lip crayon from the one end and lip liner from the other, the crayon has a thicker end. Our expert noted that she especially liked on Deck of Scarlet website – is tutorials and looks created using this particular palette edition colors. Watching videos and examples of the makeup look you can try something new and learn the how to use the palette to create different looks. The palette is good to last more than a month and can create at least 5-6 different looks, depending on your needs and creativity. 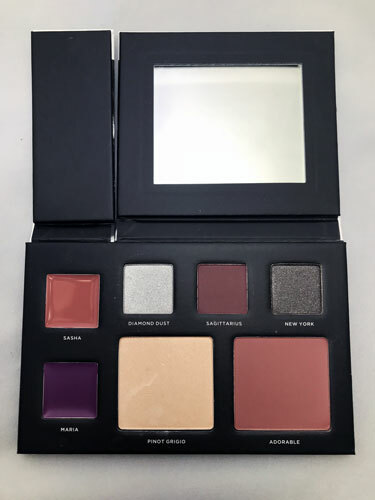 The expert noted, that Deck of Scarlet palette has a great quality and makeup be worn through the day, it doesn’t feel heavy on the skin and actually feels good. MTF hack: For best results spray the skin with your favorite mist, then apply pore minimizer or primer and finish with cushion, add some shimmer for your cheeks from Deck of Scarlet (Pinot Grigio) highlighter. Overall we happy with the Deck of Scarlet palette and looking forward to test and review other palettes from the brand!